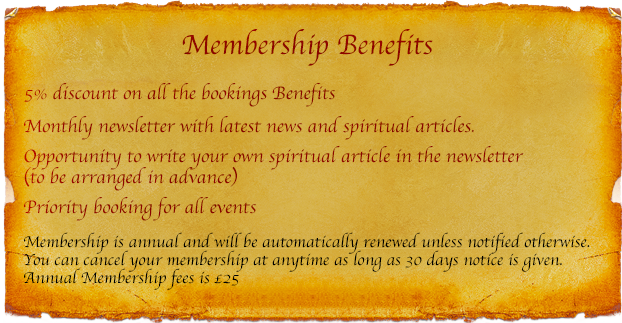 At psychic hands we are introducing membership to keep you informed and up-to-date with all our services and events. Any new service introduced, you will be the first one to know. All the membership benefits are listed below. 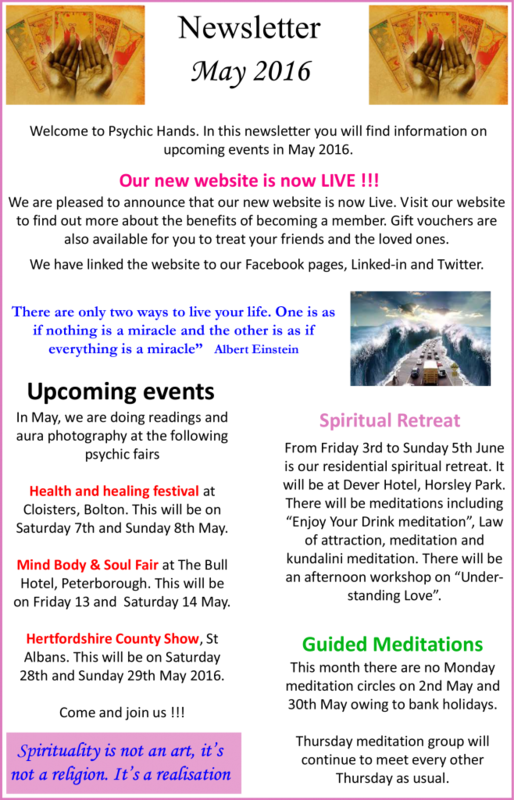 As you can see one of the benefit is that you will receive regular monthly newsletters with updates, latest news and spiritual articles. Membership can be paid by bank transfer only. Please transfer £25 to: account name – Psychic Hands,Sort Code 60-24-77, Account number 28269977. Make sure that you text us or email once the membership fees have been paid. Take a look at the sample newsletter below.